Welcome to our website. 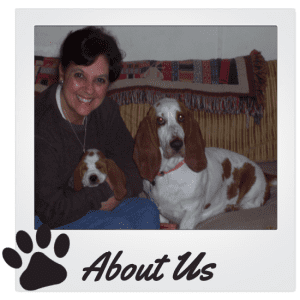 We are a family of animal lovers with a passion for basset hounds of all kinds. 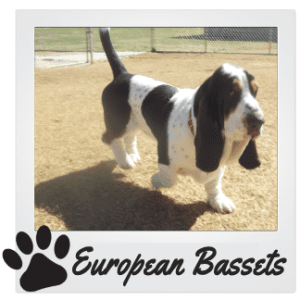 We are a Basset Hound Breeder in North Carolina, Breeding both European and American Basset Hounds. Our dogs are both akc and ckc registered . Our day to day lives evolve around the care of our dogs, and they are very much a part of our family. They are indoor, outdoor pets and and do not live in a kennel. They live with us!! At night..we are reminded very quickly that it is time to come inside!! We love what we do and give our dogs ( and puppies ) the best care possible . Many of our dogs are retired, or have never been bred. They will live out there life with us regardless of there breeding potential. We do not mass produce puppies, and are not a puppy mill. Nor do we sell our puppies to just anyone. We fall into the criteria of “hobby breeders”, or just plain Basset Hound fanatics! !They are family and we love them as such!! If you are considering being “owned by a basset”…please research the breed and make sure it is a good fit for you..They are loyal and loving pack animals and to them you are FAMILY!! What they need is a forever home.I invite you to call or email with any questions you may have regarding the breed , our dogs ,or upcoming litters! !